Features a carry handle in the roof! Encourages learning through interactive play! 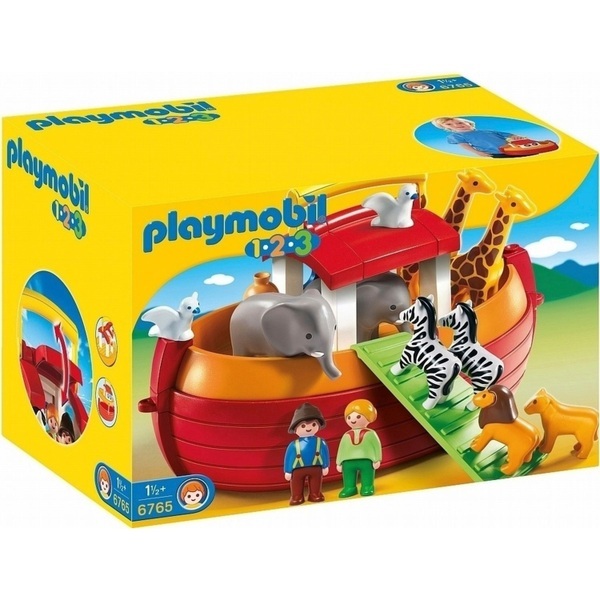 The Playmobil 1.2.3 Noah's Ark comes with 5 different animals - all in pairs - and, of course, Noah and his wife. The ark can float on water and has a removable deck for storing the animals. There is an integrated carry handle for easy transportation.